Woods At Gray Eagle - This 1/2 acre lot gives you the yard you won't find in new construction! This home feels new! MLS#21636383. Keller Williams Indpls Metro N.
Nhood pool/park/plygrnd a stones throw away! MLS#21635770. F.C. Tucker Company. Close to shopping, dining & I-69. Award winning HSE Schools! MLS#21636378. Berkshire Hathaway Home. Saxony - Luxurious stainless steel, gas appliances featured in the kitchen, tons of natural lighting throughout the dining and family room. MLS#21635995. Weekley Homes Realty Company. Plus you're just steps away from our center Courtyard offering an outdoor Fireplace here in Saxony of Fishers! MLS#21636355. Weekley Homes Realty Company. 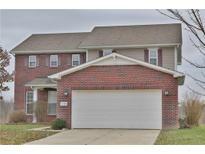 Berkley Grove - Convenient to downtown Fishers shopping and restaurants. MLS#21635922. Carmel Homes Realty. Hurry because this one won't last! MLS#21636304. Keller Williams Indy Metro NE. The master bath connects to a large walk in closet, carpeted for your comfort. MLS#21635869. Keller Williams Indpls Metro N.
Make sure you see this one, it will go fast! MLS#21635930. CENTURY 21 Scheetz. Sunblest Farms - Walk/Ride your bike to Holland Park, YMCA, Fishers Farmers Mkt, Conner Prairie Concerts & The Nickel Plate District! What a gem! MLS#21636160. F.C. Tucker Company. Ideally located near shopping and restaurants with easy access to I69. MLS#21636241. eXp Realty, LLC. Close to shopping and venues, this home offers so much to your family! MLS#21636096. Horizon Real Estate of Indiana.